Amazon bestselling author, Kirkus MacGowan, wrote his first book at age eight about traveling to Mars to find the cure for cancer. He put his writing dreams on hold for twenty-five years and focused his energies on playing baseball. He moved on when he found playing softball with his friends more enjoyable than his pipe dream. Since then, he graduated with a B.S. in Psychology, married a woman too good to be true, and moved back to his hometown. He gave up an amazing career waiting tables and now stays at home with his two crazy children. 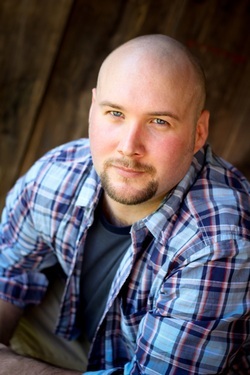 He spends his time writing thrillers and fantasy, playing softball with friends, enjoying the occasional computer game, and wrestling with his kids. The John Reeves Creed: "Kill them with kindness. Unless you have a gun." John Reeves moves back to his childhood home and takes an easy job as a Private Investigator with an old high school friend. A grieving widow asks for help when the medical examiner unofficially labels her husband's bizarre death a suicide. John joins his brother Alan, a local police officer, to learn why the town's residents keep dying horrific deaths at a breakneck pace. John Reeves, an ex-Marine, drives to Myrtle Beach to confront his fiancée, hoping to repair their damaged relationship. Instead, he finds her unconscious in the local hospital, the victim of an unexplained explosion at a local restaurant. Just when Wilburn G. Walsh thinks his destiny as an accountant is set in stone, a high-ranking Gnome official gives him an offer he can't refuse. 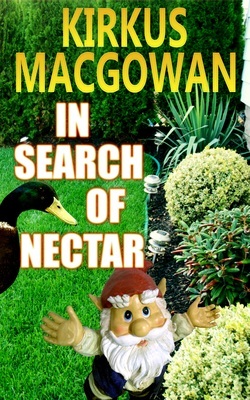 With a chance to be the hero, Wilburn sets off on a grand adventure to find the elixir, the nectar to save all Gnome-kind.